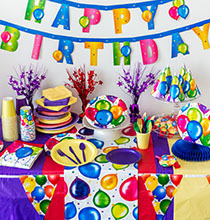 Planning a super fun and memorable birthday party for your child doesn’t have be daunting. 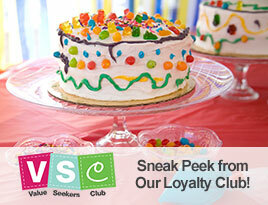 In fact, it can be a piece of cake with this unique and affordable party idea. 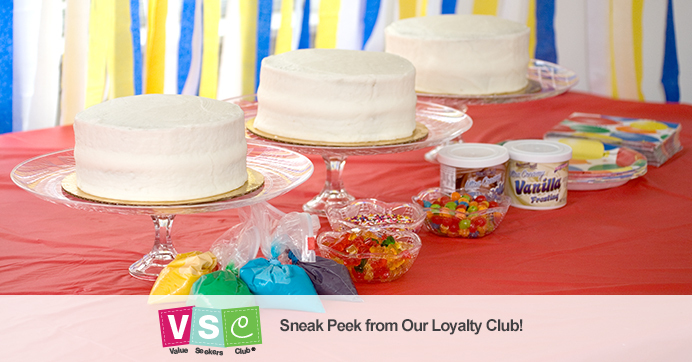 Let each guest at your child’s party personalize and decorate their very own cake. Little chefs will have a blast concocting their custom confections with their favorite colors and treats… and your child’s party will be the talk of the playground. Plus, you’ll have a party activity and take-home favor all wrapped up in one fun idea! Set out a sheet of parchment or wax paper and a cake for each child on top of a large table. Place cake icing, decorating icing, and bowls filled with the different cake toppings in the middle of the table. Place a disposable plastic curtain liner on the floor under to your table (trust us, you’ll be glad you did). When it’s time, put each child in front of a blank cake and let their creativity and imaginations run wild. Time-Saving Tip – If you are hosting a large group of children, don’t make yourself crazy baking all of the cakes at once. You can make them up to a week early, wrap them tightly in plastic, and then freeze until the day before the party. Just make sure you remove the cakes from the freezer and allow enough time to thaw. Or, you could opt for decorating cupcakes or cookies instead. As long as there is icing and candy involved, the kids will have a blast! Cake decorating can be a messy job… help little ones keep their clothes clean by purchasing an apron from Dollar Tree for each child attending the party. They can write their names on the aprons and decorate with markers before the festivities begin. Plus, they make great party favors. Need a cake stand? 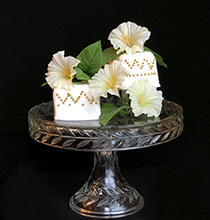 Purchase a Glass Taper Candleholder and a Large Round Plastic Tray and glue them together… simple, chic, and cost effective!